Which one of these is the “Odd-One-Out”? Which one of these is different from the other three? The answer is speaking. The other three you can do alone, on your own, without anyone else. You can listen to the radio alone. You can read a book alone. You can write a letter alone. But you can’t really speak alone! Speaking to yourself can be “dangerous” because men in white coats may come and take you away!! That is why you should make every effort possible to find somebody to speak with. 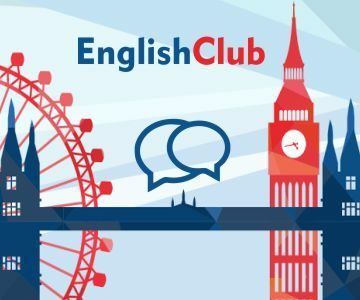 Where can you find people who can speak English with you? And how can you practice speaking when you are alone? If you go to a language school, you should use the opportunity to speak to your teachers and other students. When you go home, you can still practise listening, reading and writing, but you probably can’t practise speaking. If your teacher asks you a question, take the opportunity to answer. Try to say as much as possible. If your teacher asks you to speak in pairs or groups with other students, try to say as much as possible. Don’t worry about your mistakes. Just speak! Many cities around the world have conversation clubs where people can exchange one language for another. They are usually free although some may charge a small entrance fee. This MERITAS Club is created for people who wants to practice to improve their communication skills. Listen to the words of an English-language song that you like. Then repeat them to yourself and try to sing with the music. Repeat the words as many times as possible until they become automatic. Soon you’ll be singing the whole song. Or listen to one of your favourite actors on video and repeat one or two sentences that you like. Do it until it becomes automatic. It’s good practice for your memory and for the mouth muscles that you need for English. Above all, don’t be afraid to speak. You must try to speak, even if you make mistakes. You cannot learn without mistakes. There is a saying: “The person who never made a mistake never made anything.” So think of your mistakes as something positive and useful. Speak as much as possible! Make as many mistakes as possible! When you know that you have made a mistake, you know that you have made progress. You are always welcome to Join MERITAS English Club. See you soon. Cheers.